Don’t worry about the safety of your retractable awning during the long winter months – turn to the experts at Sunesta for a retractable awning cover. We proudly offer our signature Sunboot protective awning cover to put your mind at ease while your awning is retracted during the winter season. The Sunboot patio awning cover is made out of our signature synthetic fabric and has an opening underneath that runs the entire width of the product. This opening can simply be closed with Velcro after placing it over your retracted awning. And, because it is made out of our impressive acrylic fabrics, you’ll be able to select from one of our many colors to perfectly complement your home. 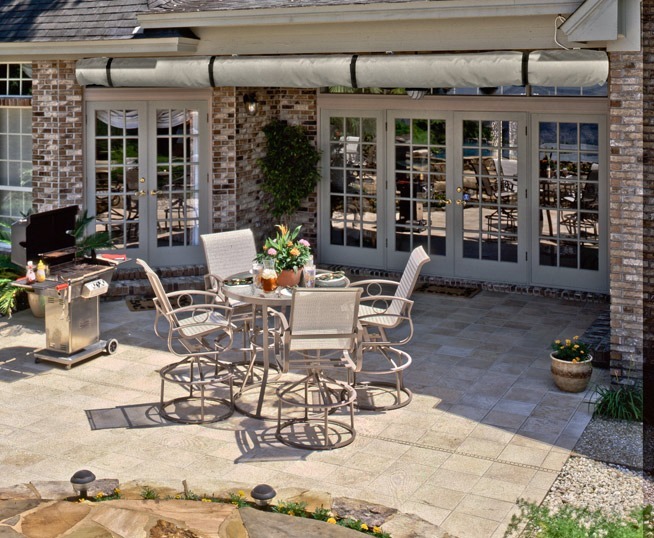 At Sunesta, we will pair your retractable awning winter cover with a unique SmartCode™ number so that we can access the unique specifications of your product even several years down the line. This makes utilizing the warranty on your awning an efficient and simple process. To learn more about the additional accessories offered by Sunesta including LED lights, Shadeside privacy walls, and retractable awning cover products, contact us today at 1-800-SUNESTA. We proudly serve homeowners nationwide.